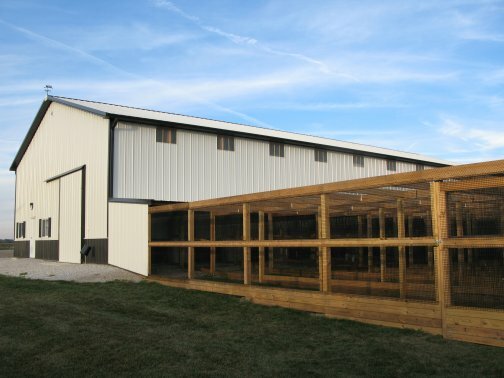 Our new facility is complete!! 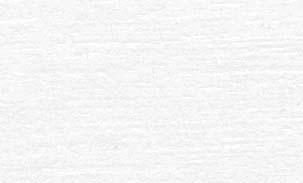 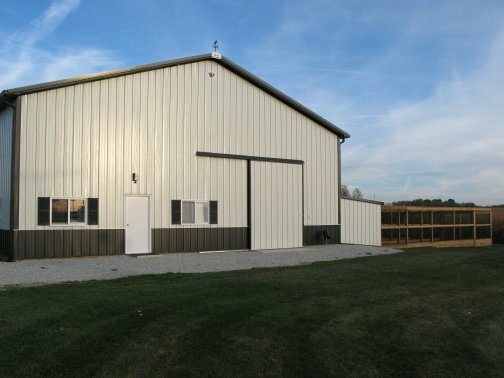 Our barn is a 48'x96' Wick pole barn, built by B&B Construction, a local contractor. 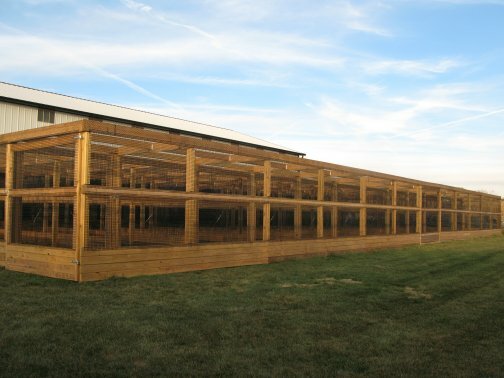 The barn has 12-8'x8' box stalls for peafowl. 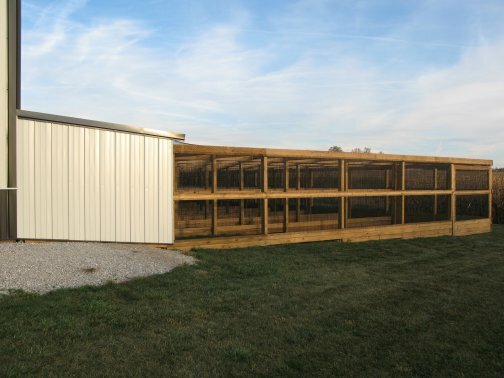 The cement floor has hot water radiant heat, designed by local contractor, Bader Mechanical, to enable us to more easily raise all three species of green peafowl in our cold midwestern winter weather. 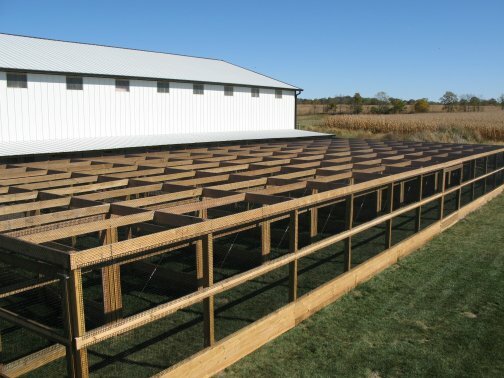 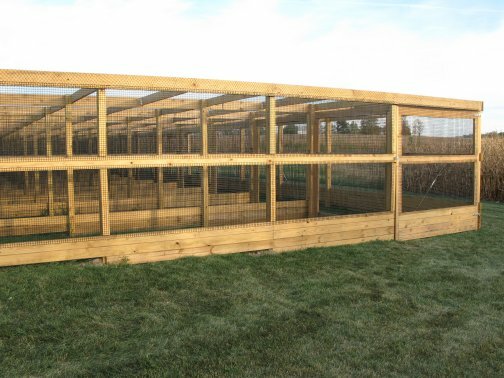 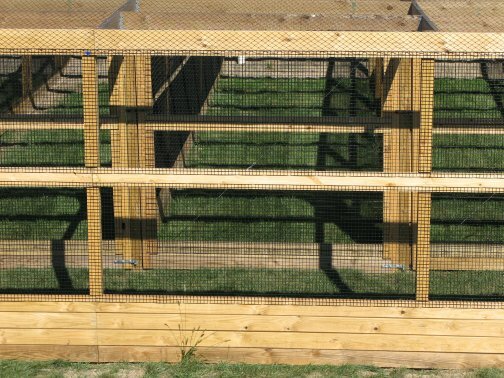 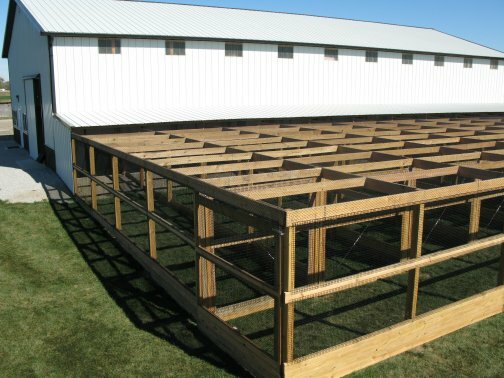 Each box stall has an outdoor flight pen, designed by us, and constructed by B&B Construction.